After school programmes allow children to direct this vigor in a consistent and equally focused manner, where they are exposed to procedural regimens, learn structure, adapt to changing factors, and learn to efficiently communicate in group settings. Evaluating ways in which after school programmes benefit a child can quickly become interconnected and encompassing. The vast amount of social advantages exceedingly outweighs any reclusive behavior associated with indolent singular activities. 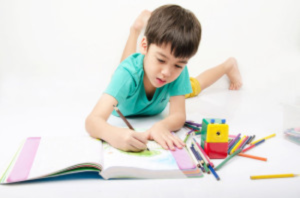 Uncontrolled environments occupied by young children can wreak havoc on intellectual expansion and stimulation, thus creating problematic areas and at times out-lashing behaviors. Below you can read and assess five different ways in which high quality after school programmes and structured activities are advantageous to parents and children alike. A heightened level of confidence. Taking a child out of typical school structure can offer a sense of freedom and leisure that ultimately coincides with increased confidence. Less pressure mixed with a motivation to take more calculated risks adds up to noticeably increased self-assurance. Safer than the alternative. While some kids have the opportunity to spend time after school with their parents, others do not. Providing children with functional after school programmes while parents are at work, ultimately provides kids with constant supervision and structural format to their day once school ends. This keeps them both safe and productive, all while giving parents a sense of security and purpose. Homework help. The mere functionality of after school activities and structured programmes gives way to regimented academic counsel. Creating an opportunity for a child to complete homework assignments before they make it home for the evening has been proven to boost moods and familial interaction in a positive light. Completed homework tasks also allow children to feel accomplished. Social fluency. Oftentimes kids are interjected into programmes not withstanding or directly connected to their current schools. This can be an even bigger advantage to the alternative. This conjunctively allows children to expand their social reach, engage with new children, and participate in a different social system altogether. Different strengths surface when a child is immersed into different structures, and can even spark new found interests. Part of a team. Belonging and participating in meticulously constructed programs gives children a sense of placement – a home away from home. Connecting and interacting with others alleviates solidarity and insecurities that are often associated with non-structured afternoons, which increases positive affirmations and ideas of self-worth and selflessness. The ‘tip of the iceberg’ idiom does not even begin to cover the many benefits that structured programmes can offer a child during after school hours. The psychological benefactors overlay most, if not all, alternative measures. Providing structure to children at an early age leads the way to coach-able, teachable teenagers, ultimately creating self-sustaining adults. Setting your child up for future success starts earlier than most parents realise. Getting in under the curve of typical normalcy creates a measurable difference in childhood development allowing for a progressive mental impact. Programmes that can effectively combine learning and playing in a positive and valuable light will respectively grasp and mature childhood retention through influential advancement. To learn more about the quality after school programmes we offer, please visit our website or reach out by phone 07496 808377.